September in the European corporate debt market is often a time of much rejoicing. The dearth of activity in August is replaced by a flood of issuance, tightening spreads, and a general feeling that bonds are back. Not this time. This August has been particularly miserable, and almost all of the factors that made it that way have every reason to continue. Only 13 new deals have completed so far, and the spreads – reflecting the cost of borrowing – on about half are wider than when they were issued. The market isn’t completely closed – big name issuers such as Volkswagen and Commerzbank together priced about €4bn of new securities – but that’s about it. But you can see why. Yields in Europe can be non-existent, but for the same credit quality you can get a decent pickup in the US dollar corporate bond market. The Federal Reserve’s insistence on rate increases this year have driven the Treasury yield curve significantly higher compared with many European equivalents (Italy being a recent notable exception). It’s not just the underlying rate – the average US investment grade corporate spread is nearly double the average for the bloc. There are some technical factors that make euro-denominated new bond sales less attractive for investors and issuers alike. The region’s corporate bond market has long had a friend in Frankfurt. 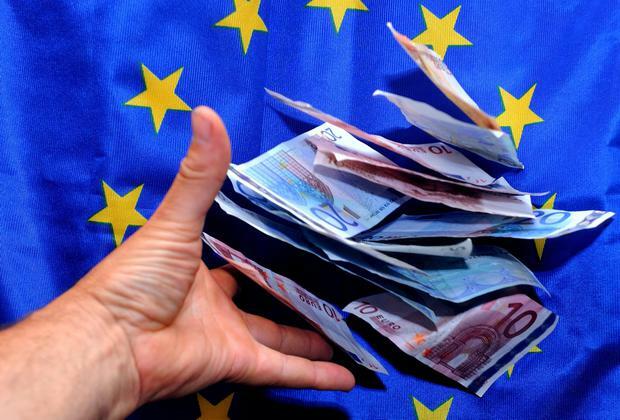 The European Central Bank’s corporate quantitative easing program has absorbed €166bn of investment-grade issuance since June 2016, out of nearly €790bn of securities that meet its criteria for purchase. This prop is soon to be taken away. As of next month, the ECB will halve its Asset Purchase Program from the current €30bn, and stop it altogether by the end of the year. Any further corporate bond purchases will be subject to money coming in from maturing holdings that need to be re-invested. It is going to be a tough wrench seeing the biggest buyer in the room step away. Average spreads over benchmark government bonds may already be showing the strain. And there’s more bad news. Euro-denominated bond sales by US companies are down 80pc this year compared with 2017, Bloomberg News reported. Issuance hasn’t even cracked €10bn. That’s largely because US President Donald Trump’s tax reforms encouraged firms to repatriate overseas cash, and that money is starting to flee back to American shores. This has reduced the need for US companies to issue offshore in decent size – this year they have slipped from being the biggest issuers of euro-denominated investment grade bonds to fourth place. And the trend will only get worse. Invesco estimates that only $400bn has come onshore so far, out of a total $1.5 trillion. And cash-rich American multinationals such as Alphabet, Microsoft and Apple will also be taking back money they’d previously used to buy European securities, shrinking the pool of potential buyers of new issues. Finally, there’s the impact of the turmoil in Italy and Turkey. Political difficulties in both countries have stoked unease in government bond markets, which has spread to other countries to varying degrees. That volatility makes for an uncomfortable environment to raise money. All this means the September rebound in new issuance volumes will probably be pretty modest this year. Companies that don’t need to issue will probably stay away. There’s one factor from this August that won’t repeat itself in September. Everyone will be back from their holidays. This simply means there will more people around to see the abyss staring back at them.